A need for chatbots is spreading at full speed in the business world. These days, firms are generally counting on consulting companies for the integration of bots in their websites. It ends up in a challenge for integrators to choose vendors to give high quality conversational bot that suits their customers. In the chatbot pipeline, from the very start of developing to the final product, there are two big players: developers and integrators. On one hand, developers are those who create, build and program chatbots but they do not necessarily integrate them into webpages. On the other hand, software integrators do not concentrate on making bots but, generally, help companies to increase their revenues and potential value. Many SMEs rely on integrators to incorporate chatbots into their websites. Some of the most prestigious software integrators are big consulting companies such as Deloitte, EY, KPMG or Accenture. Apart from these, there are some other little-known companies that focus particularly on chatbot integration, such as Infosys, TCS or Mindtree. 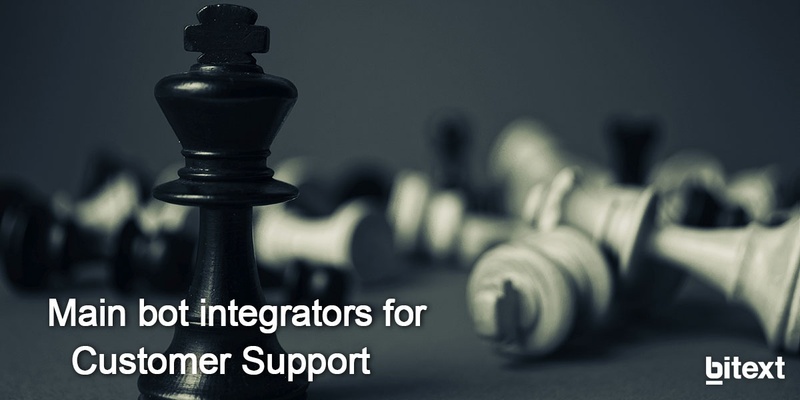 It’s very common that integrators do not develop the services that they integrate. In chatbot industry, they set chatbots up that have been provided beforehand by specialized developers. The problem comes when their clients want a more conversational result. This is when they start to struggle with NLP. Natural Language is not effortless; it requires highly specialized resources that they may not have. So, selecting an NLP vendor became highly tactical. Why should the integrators use NLP specialized vendors as middleware? Middleware is becoming essential when dealing with the breathtaking pace of artificial intelligence technology and the orchestration of multiple services, as Gartner says in its latest Cool Vendor in AI Technology report. When talking about improving language understanding skills of a chatbot, Bitext technology based on NLP can solve two of the biggest problems integrators face when they have to set bots up. Training data. Bitext can fully automate bot training by using artificial training data. We can generate all the query variations needed to train a bot in a completely automated way, so integrators can put the bot online 70% faster. Bot’s understanding. Integrators keep facing the challenge of how to make their customer bot more conversational. Bitext has created a system that can simplify on-the-go all the customer queries in a way that the bot can easily understand. It increases bots’ accuracy and makes them more human like. It helps platforms to enhance the user experience and create a more effective sales channel. One of the main advantages for integrators is that this technology can easily be implemented in any bot platform. With the pace of advancement and growing interest in conversational interfaces, new tools may soon arise in the market and Bitext will not fall behind. Bitext's team, mainly composed of linguists and developers, is continuously striving for progress and innovation to supply companies with high-tech labor-saving solutions aiming to increase their revenues on a long-term basis. If you are wondering which tool would be the most suitable for your website and how you can make the most of it, have a look at our API platform.